Subs Now Due, Need New Kit? Great Start To Juniors Coaching - Registration Form. 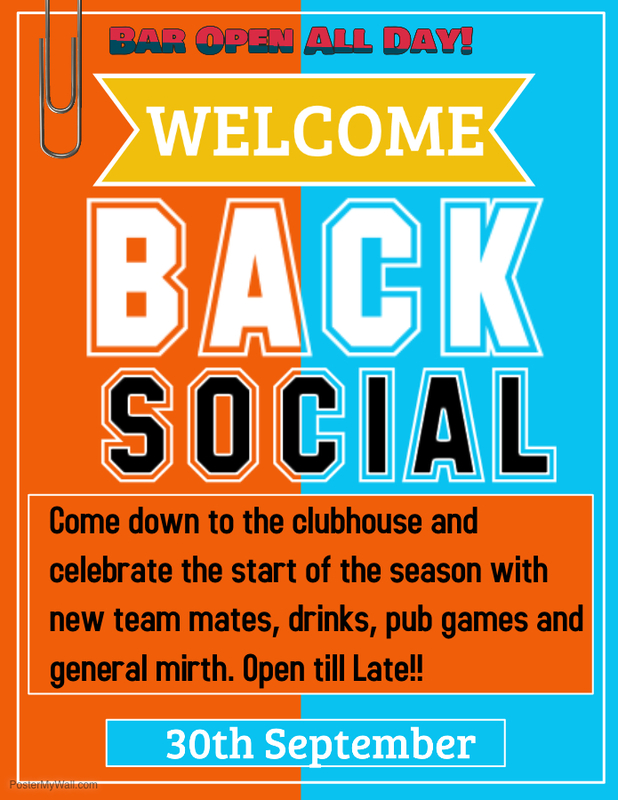 Come down to the clubhouse and celebrate the start of the season with new team mates, drinks, pub games and general mirth. Open until late!! Juniors Starts Sun 10th Sept - Registration Form. Juniors Starts Sun 10th Sept.